The story of a Dominican girl, the Anglo woman who introduces her to horse riding, and the horse who changes her life. This is what’s so brave about The Mare—the way it does believe in the mess of connection, and does attempt its ragged portrait, rather than simply outlining the crystalline loneliness of disconnection. It dares us to find it sentimental—squatting inside the prefab frame of an easy redemption story—but ultimately resists sentimentality with a powerful insistence on the vexed complexities of sentiment. [Gaitskill] keeps clear of the self-justifying temptations of fiction embedded with memoir by structuring The Mare as a series of short chapters delivered in the first person, slicing deftly among her characters’ various points of view. Paul and Silvia have a say, but the leading roles are Ginger’s and Velvet’s—a risky strategy, since it requires a kid’s voice that can match an adult’s in lifelike tone and psychological depth. Velvet, fortunately, is that most wonderful of fictional creations: a convincing child who manages to be a captivating and perceptive narrator. 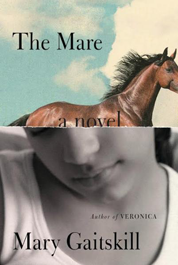 The Mare is worth reading for the plot alone, which is as uplifting as it is gutting. But Gaitskill is more than a gifted story-teller. She is an enchanter, to borrow Nabokov’s description of what makes a good writer a major one. The particular way in which she enchants—by putting into words the wordless undercurrent of human behavior—is explicit in The Mare. What did you think of The Mare?